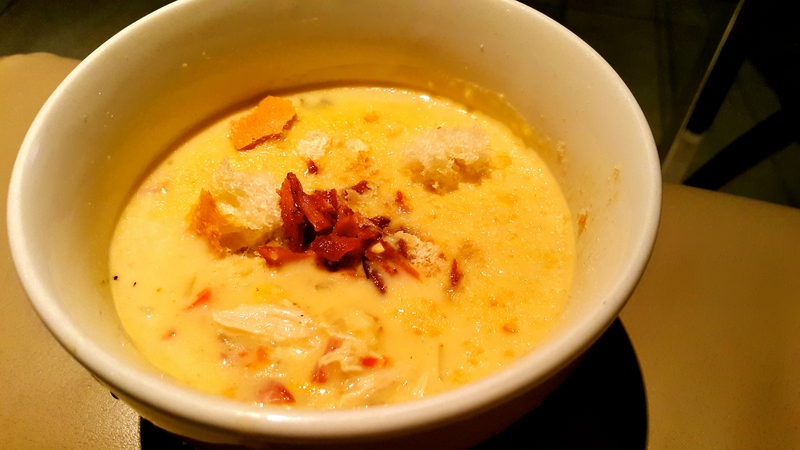 Chowder, a rich and creamy soup with chunks of seafood or vegetables. I could go in to the history, and why it’s not considered a soup… but that’s a lot of writing and I’m here for the food! This chowder would be perfect in winter, it is also very filling and super healthy (for those of you watching their weight). I made this dead in the middle of Cape Town summer, and it still made me all warm and fuzzy inside! Melt butter in a heavy based pan, add red pepper, onion and jalapeños saute until tender. Add garlic and cook for 30 seconds. Stir in the flour, cook for 2 minutes stirring constantly. Slowly add chicken stock and whisk until blended. Add potatoes, bay leaf and season with salt & pepper. Bring to the boil, keep stirring. Reduce the heat to medium, cook uncovered for 10-15 minutes until the potatoes are tender. Add the shredded chicken, corn and cream. Leave to simmer for another 10-15 minutes. Remember to stir occasionally so that it doesn’t stick to the bottom. I served this with crusty bread and bacon bits scattered on top. You could also sprinkle some spring onion for a little freshness.